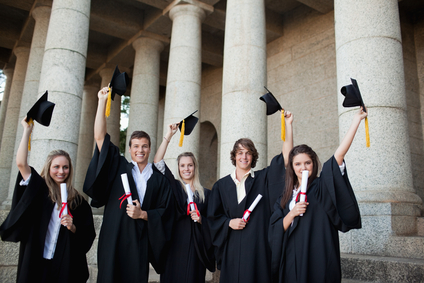 Graduation caps your years of academic hard work and intellectual dedication—book with LV Limos and let us take you and your friends to the venue in true celebratory fashion. Celebrate the fruits of your labor in elegant style with our sophisticated stretch limos. Whether graduating from junior high, high school or college, we have a decadent fleet of limousines to help you celebrate your achievements. Our illustrious stretch limousines provide plenty of room for you and your friends to settle in to plush accommodations and rejoice in your scholastic denouement. Let us take you to your next social event in the Las Vegas area. From dances and parties to small get-togethers, we have a vehicle to meet your needs, so let us do the driving for you. Whether you’re heading to an intimate birthday party for close friends under the whimsically illuminated glass globes in Mandarin Oriental’s Twist by Perre Gagnerre or to an extravagant rooftop blowout at Drai’s Nightclub at the Cromwell, booking with LV Limos means that you’ll always arrive in the height of fashion. With LV Limos, you won’t have to worry about the hassles of parking, hailing a cab, or explaining those scuff-marks to the rental agency…just enjoy the smooth ride and the beautiful window views of Las Vegas’ extravagant beauty. Our expert drivers ensure your safe departure and arrival to and from any occasion. No need to stress about navigating the Vegas streets—just enjoy your big celebration (and your illustrious ride to it). Arrive in a car that looks (almost) as good as you will—you’ll be turning heads before you even get out. Feel as good as you look, and look as good as you feel with our affordable limousine rentals—perfect for every function. To start the celebration, call 702-761-3338 for a free quote.